You'll find plenty of places to visit near Perth: Fremantle (Western Australian Maritime Museum, Fremantle Markets, & more) and Caversham Wildlife Park (in Whiteman). Dedicate the 17th (Fri) to wine at some of the top wineries in the area. On the 19th (Sun), give your taste buds a day to remember with a local gastronomic tour. 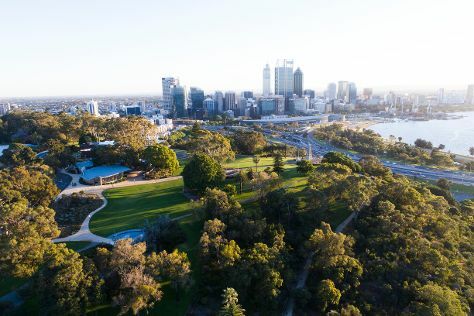 The adventure continues: take in nature's colorful creations at Kings Park & Botanic Garden, snap pictures at Elizabeth Quay, explore the activities along Swan River, and pause for some photo ops at Kings Park War Memorial. To see other places to visit, traveler tips, and other tourist information, read our Perth travel route planner. Dusseldorf, Germany to Perth is an approximately 22-hour flight. You can also do a combination of train and flight. The time zone difference moving from Central European Time (CET) to Australian Western Standard Time (AWST) is 7 hours. In May in Perth, expect temperatures between 25°C during the day and 11°C at night. Finish your sightseeing early on the 19th (Sun) to allow enough time to travel to Geraldton. Geraldton is a coastal city in the Mid West region of Western Australia, located 424km north of Perth.At June 2015 Geraldton had an estimated urban population of 39,825. On the 20th (Mon), view the masterpieces at Geraldton Regional Art Gallery, then get engrossed in the history at Museum of Geraldton, then step off the mainland to explore Abrolhos Islands, and finally stop by Geraldton Platform Markets. On the 21st (Tue), you'll have a packed day of sightseeing: take in the architecture and atmosphere at St Francis Xavier Cathedral, kick back and relax at Town Beach, then enjoy the sand and surf at Back Beach, and finally learn about all things military at HMAS Sydney II Memorial. To see where to stay, photos, more things to do, and other tourist information, refer to the Geraldton trip maker app . You can fly from Perth to Geraldton in 3 hours. Alternatively, you can drive; or take a bus. May in Geraldton sees daily highs of 28°C and lows of 13°C at night. 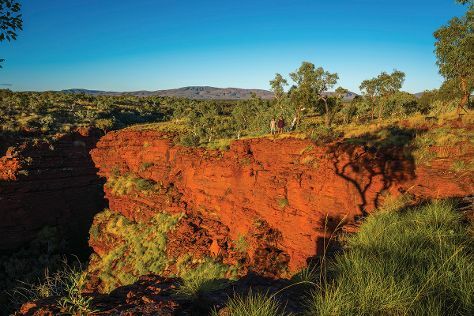 Wrap up your sightseeing on the 21st (Tue) to allow time to travel to Karijini National Park. Kick off your visit on the 22nd (Wed): take in the dramatic natural features at Karijini National Park. For ratings, where to stay, other places to visit, and other tourist information, read Karijini National Park road trip planning site . Drive from Geraldton to Karijini National Park in 13 hours. Traveling from Geraldton in May, things will get somewhat warmer in Karijini National Park: highs are around 32°C and lows about 18°C. Finish your sightseeing early on the 22nd (Wed) to allow enough time to travel to Coral Bay. Coral Bay is a small town on the coast of Western Australia, north of Perth. Start off your visit on the 23rd (Thu): look for all kinds of wild species at Ningaloo Marine Park and then get interesting insight from Tours. On the next day, see majestic marine mammals with a dolphin and whale watching tour. For reviews, photos, where to stay, and more tourist information, read Coral Bay trip planning tool . Traveling by car from Karijini National Park to Coral Bay takes 7 hours. Cap off your sightseeing on the 24th (Fri) early enough to go by car to Exmouth. Exmouth is a town on the tip of the North West Cape in Western Australia. Exmouth is known for wildlife, beaches, historic sites, nature, and adventure. Your plan includes some of its best attractions: get a new perspective on things with Boat Tours & Water Sports, explore the gorgeous colors at Ningaloo Reef, enjoy the sand and surf at Wobiri Beach, and take in the exciting artwork at The Ningaloo Gallery. To find maps, photos, other places to visit, and other tourist information, read Exmouth online trip itinerary builder . You can drive from Coral Bay to Exmouth in 2 hours. Another option is to take a bus. In May, daytime highs in Exmouth are 33°C, while nighttime lows are 18°C. Finish your sightseeing early on the 27th (Mon) to allow enough time to travel back home.